A stunning gite complex of 5 stone properties full of character, with an in ground salt water swimming pool and approximately 3 hectares of land. 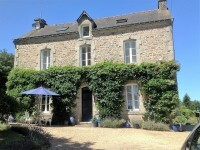 A stunning gite complex of 5 stone properties full of character, situated in the countryside . 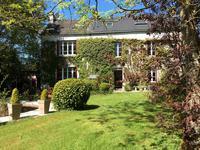 . .
Luxurious Petite Manoir built in quiet countryside hamlet. Stone built detached (6 bedroom) house built in 1931 with rear extension built in . . . Opportunity to buy a partially renovated property with a cottage and apartment attached close . . . This outstanding property is surrounded by its own land of 13265m2 and has an outdoor . . . Traditional stone gite complex renovated to high standard, with pool, not far from village. Langoëlan, Morbihan. This is a truly beautiful property, with large interior spaces, 4 bedroom main house plus a . . . 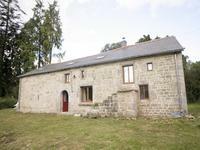 This property can be considered as a ‘maison principal’ with a gite or just as a large stone . . . 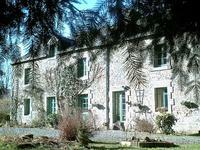 Located in a peaceful hamlet in Central Brittany, in a preserved natural environment, this . 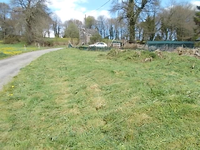 . .
A delightful 4 bedroom farmhouse with 1.4 hectares of land in a quiet countryside setting near to Ploerdut. A wonderful stone house in the countryside, private, but not isolated offering 153m2 of . . .